Zombicide Angry Neighbours survivor equipment card from Guillotine Games Zombicide Angry Neighbour boxset. 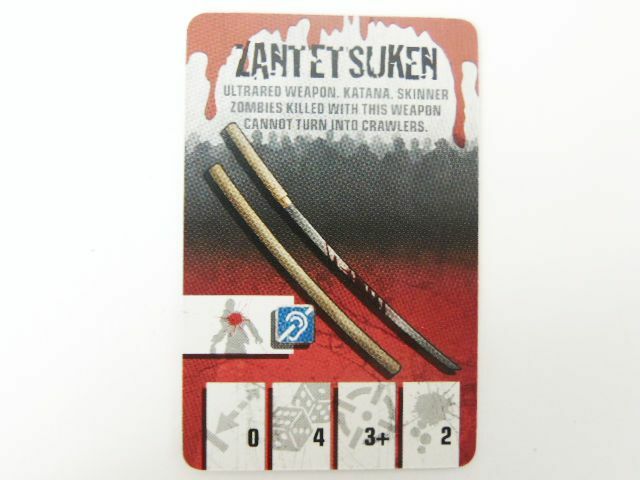 Plastic coated playing card used in conjunction with Guillotine Games Zombicide board games. Item is fragile and susceptible to ripping and water damage. Item may be or include small parts which Forbidden Gaming does not recommend to children under 36 months. Children under the age of 12 may need adult supervision.